Life in Calgary, home of Canada’s most robust economy, doesn’t mean very much unless you have a roof over your head. 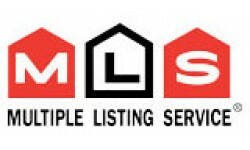 It doesn’t help when the competition for active listings is so fierce, sometimes an active listing doesn’t even last a day before the ink dries on the sales contract. Folks who prefer to rent until they get an opportunity to buy a home aren’t all that fortunate, either, given Calgary’s vacancy rate barely hovering above the one-per cent mark. In fact, despite the competition for real estate, it’s still more prudent to purchase a home than to rent a place, since the inventory of active listings is comparatively much higher. Whether you choose to purchase a house, condominium suite or townhouse, it pays to weigh the advantages of each option, but it’s more important to settle on a choice based on your lifestyle needs. For folks intent on starting a family, the overwhelming favourite is a standard home, while empty nesters and young professionals more intent on establishing their careers often go the condo route. In terms of what’s available, the Calgary Real Estate Board reports that single family homes dominate the active listings. Its January reported cited 2,073 units sported “For Sale” signs that month, more than double the combined availability of condo apartments (640) and condo townhouses (369). In fact, that ratio has been consistent throughout all of 2012, even during the peak month of May when single family home availability hit 3842, considerably higher than condo apartments at 642 at and condo townhomes at 455. Taking affordability into account, the average price for a single family home in 2012 was 481,259. Townhomes in 2012 averaged $316,750 and Calgary condo apartments sold even lower at $284,702. Even with January fluctuations, which saw townhomes climb to $320,589 and apartments dip to $280,272, going the condo way seems to be a better bet on a buyer’s pocketbook. Or is it? With the average size of a condominium apartment or townhouse smaller than most family homes, chances are you’ll get the same bang for the buck if you pro rate the amount of square footage of living space you’ve paid for. Most housing units ─ from laned to detached ─ offer quite a lot more privacy with the added luxuries of a yard, garden and even a landscape you can customize to your tastes. That additional space also comes in handy for growing families. Depending on the age of a house, utility bills will vary as well as the mortgage, although the latter is considerably higher than its condo equivalent. But there’s the benefit of no condominium fees and with that, no codes of conduct set by a complex’s condominium association to follow. On the other hand, condominium owners tend to have many of their utilities covered in their monthly fees, and most residents are drawn to the low-maintenance nature of their homes, in terms of both financial costs and elbow grease. However, depending on the dwelling and what is actually covered by those charges, the combined expenses of a mortgage and condo fees could sometimes be as high as a home mortgage, a factor to consider when choosing a type of home. Many condominiums, particularly apartments do have the added amenities of workout rooms, saunas, underground garages and even swimming pools, within a few steps away from their suites. As well, townhouse condo owners aren’t faced with the burdensome tasks of shoveling snow and mowing grass. However, maintenance of these services are also reflected in condo fees. The bottom line is besides checking the financial end, such as evaluating the cost of a house mortgage with a combined cost of a condominium mortgage and association and maintenance fees, consider which type of housing fits your lifestyle the most. What isn’t reflected in your calculations may be the tipping point that determines your preference.